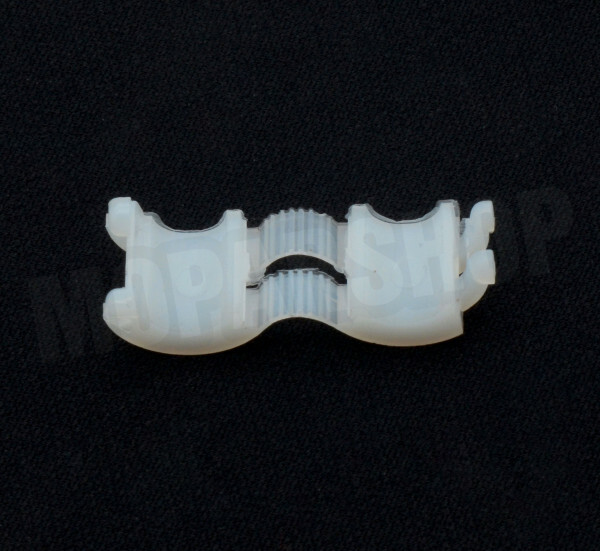 "Zündkabel Isolations Halter, 273/Hemi/Big Block"
Injection molded reproduction in correct natural nylon. Used on 273ci, big block, and Hemi engines to insulate the ignition wires from valve covers or wire routing brackets. Used in ″ J″ and ″ K″ brackets.